Filmed during production, this short doc takes a look at Amicus as a company before focusing on the day’s shoot on Asylum. I can always appreciate older docs like this because they are always well made and fun to watch. I would have loved for this to be longer, but what we get is very nice. This is the best special feature on the disc, hands down. Schow has been working in the business since the 80’s and his love for horror and Bloch comes through here. The man knows his stuff and gives us a nicely crafted look at one of his favorite authors. There is a lot to learn here as Schow packs the whole 20 minutes with information. This is a featurette that I will revisit. Miss Subotsky talks about her late husband in very warm tone. She talks about his love for film and his love for the business as well. 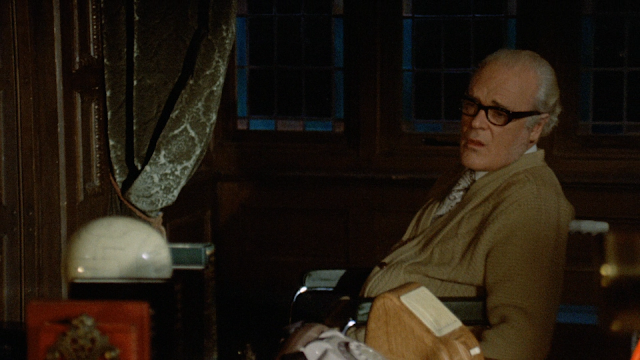 She tells a story about how Milton had a deadline due the next day where he had to hand in two treatments to the studio. She took one and he took the other. This kind of story tells what kind of couple they were and it is a nice beat in their lives. Here we have a look at the history of Amicus told through the eyes of directors Roy Ward Baker and Freddie Francis and producer Max J. Rosenberg. While I love hearing these stories, this featurette is a little sluggish in pace and editing. I found myself grabbing for my phone to look up something during this and I never like to do that. The information is great, but the way its told isn’t. Director Roy Ward Baker and camera operator Neil Binney sit down with moderator Marcus Hearn for this track that sees the men talking about everything, from shooting to editing, with a very friendly ease. The track is never dull with Hearn keeping things lively when he feels they are dropping off. Asylum is part of The Amicus Collection from Severin Films and can also be bought separately. 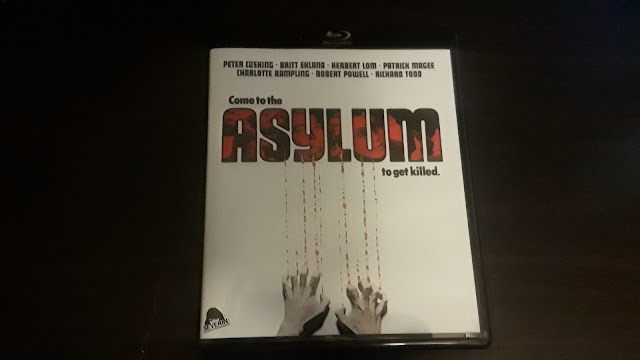 There has been a lot of talk about the transfers for the films in the set Asylum comes in and I was a little bit skeptical about what the film would look like, but I am happy to tell you that I think that the film looks good. This is a brand new scan, but it is not from the original camera negative or from an interpositive, but from “vault elements”. This means that the print that was used was not in the best of conditions and has seen better days. The picture quality is consistent throughout, which is a good thing. There is a nice layer of grain and colors look nice. Blacks are good and there is even a nice depth to the picture. The whole film has a very nice “film-like” feeling to it. 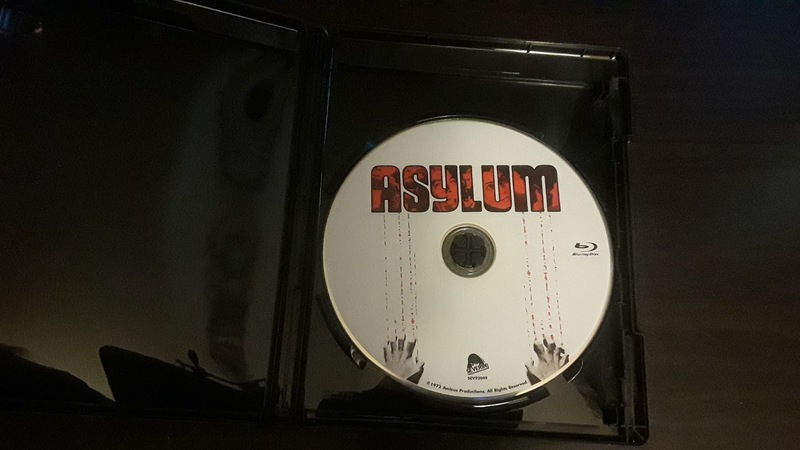 Asylum comes to with a DTS-HD Master Audio track and the results are nice. Everything comes through loud and clear with dialogue never becoming muffled or distorted. The score, Douglas Gamely, and the sound effects work, are better than they have ever sounded. 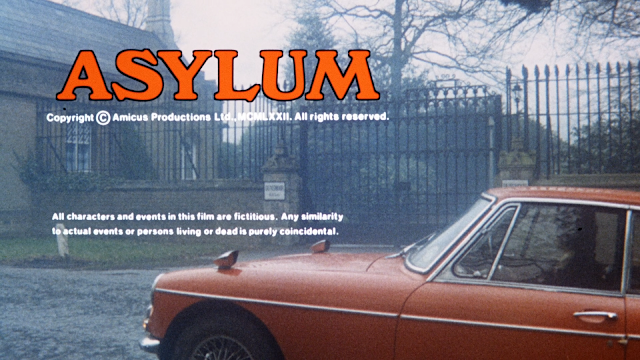 Asylum is an anthology from Amicus, a British production company that was the direct rival of Hammer. The film consists of four stories, including the wraparound story. The film is a mixed bag, with two of the stories being pretty good and other two not so much. The first story is Frozen Fear and it tells the story of a man who kills his wife so that he can be with a younger woman. The man cuts up the wife’s body, wraps each piece in paper, and puts the pieces in the freezer in his basement. 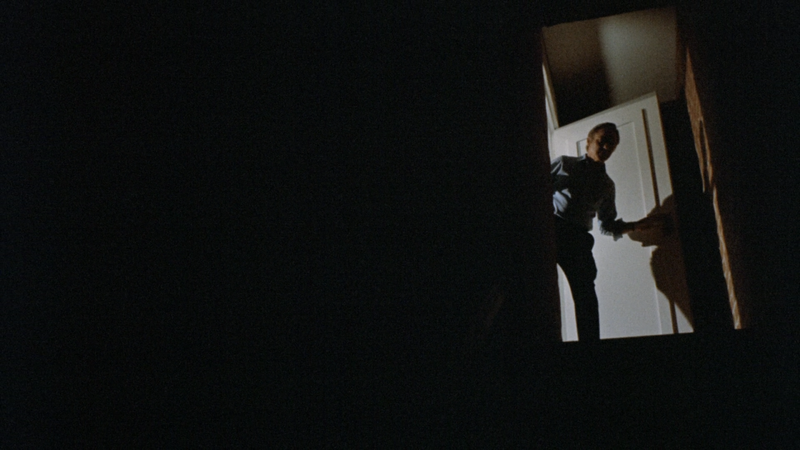 The man is then tormented by the wife’s head, which is still wrapped in paper until he is killed in the basement. I thought that this was a fairly strong way to start out the film. This story has everything that a horror fan in the 70’s could want and it delivers on most of the promises made throughout the story. The sound of the paper mixed with the imagery associated with it is really creepy and will give you goosebumps. The only thing that I could complain about is that the story is pretty straightforward. Once the wife is killed we know where the story is going. Once that initial shock is gone, so is the suspense for the rest of the story. 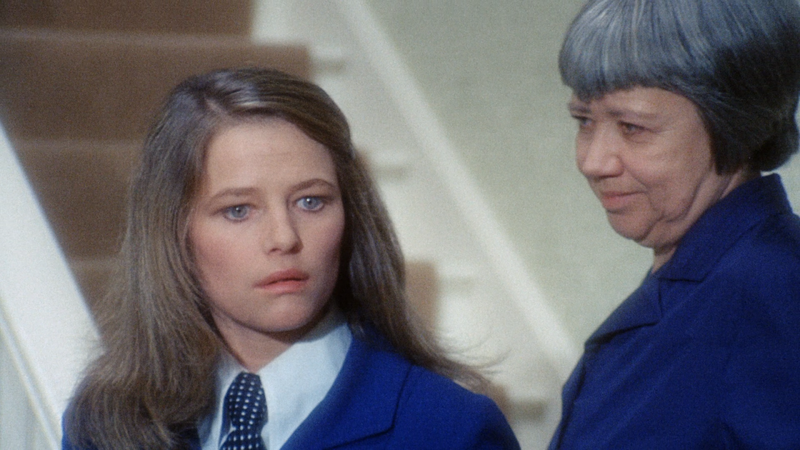 The second story, The Weird Tailor, is not all that great. It concerns a tailor who is behind on the rent for his shop. The day before the landlord is going to reign thunder on the tailor, a man comes into the shop and asks the tailor to make him a suit out of a mysterious material. 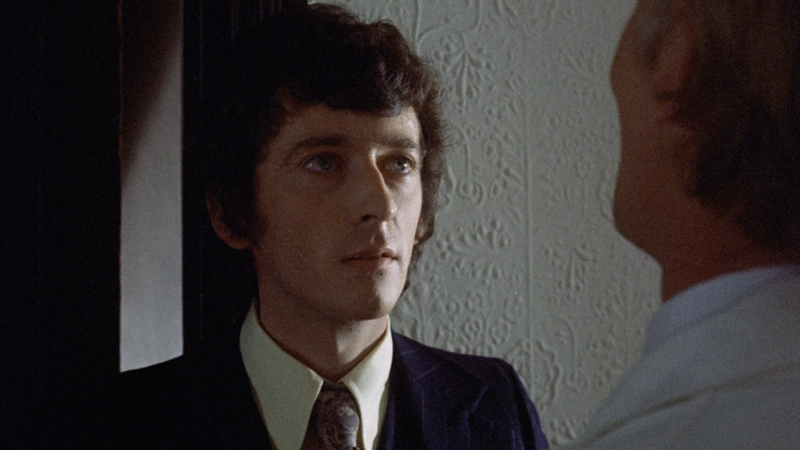 The man promises to pay the tailor a hefty sum for the suit and the tailor accepts. The tailor slaves over the suit, making sure that he makes the suit to the exact specifications that the man has asked for. Once the suit is ready, the tailor takes it to the man’s house and finds out that the man has no money. During a struggle, the man is shot with his own gun and the tailor flees with the suit. If you have seen or read, stories like this then you will know exactly where this is going, but I was fooled by it. That is really the only good thing that I can say about this story. I found it to be very slow and dull, but the payoff is really good, so I guess that it kind of makes up for the setup. 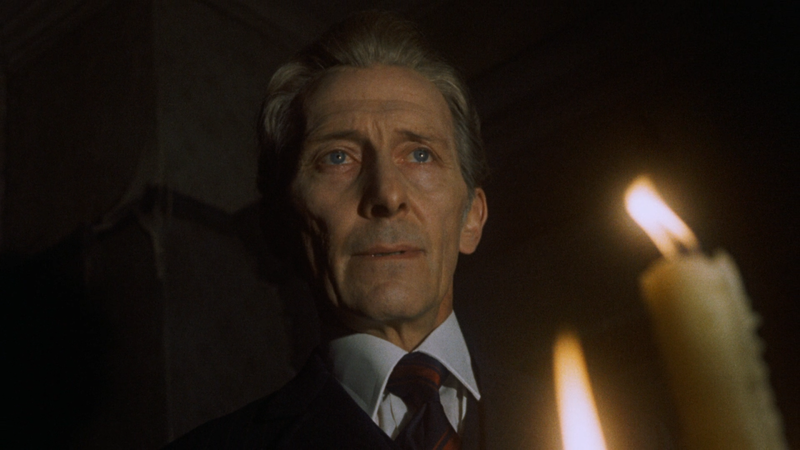 Peter Cushing makes an appearance here and he is just as good as ever. The story isn’t all that scary, but it does have a creepy end. Third up is Lucy Comes to Stay. Here we find Lucy, fresh out of the mental institute, and back home. She seems to be cured of all of her problems when her friend, the girl who got in trouble in the first place, shows back up and we all knows what happens when trouble shows up. I thought that this was the strongest story of the film. 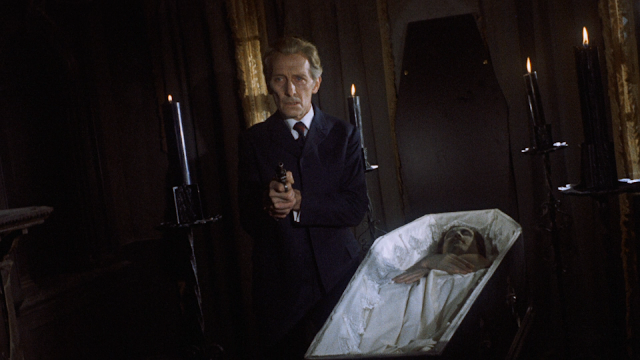 The acting is really well done and there are enough scares in the film to keep us going for a while. There is a twist towards the end that I thought fit the story well, but I have seen this twist done, almost the same way, in plenty of other films. It doesn’t really matter, though, as almost everything works in the story. 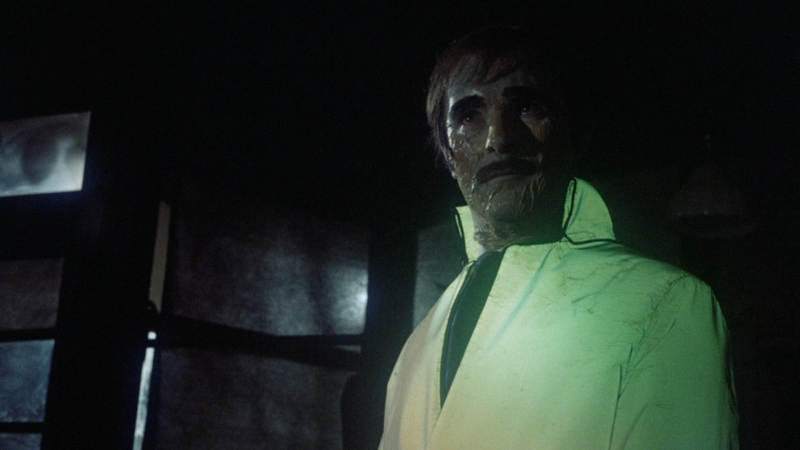 The final story is also the wraparound story, called Mannikins of Horror, and it finds the asylum of the title being visited by a new doctor. He finds out that the doctor who called him is now a patient of the very same asylum. 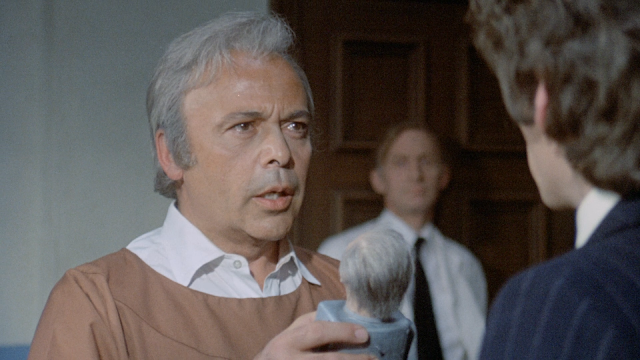 He is told that if he can identify who the doctor is out of the patients upstairs, then he can have the job of the former doctor. The new doctor believes that it is a patient who makes lifelike figures out of clay and places his conscience in them as a means to escape. Many find this story to be the best of the lot, but I found it to be a little bit flat. The idea of throwing your conscience into what are essentially toys to be a weird one, but I went with it. Then the story gets really crazy towards the end and that was where the story lost me. I am all for twists in films, but here the twists are all over the place. I was having a bit of a hard time following everything that was happening. Still, the story does have a good setup and the payoff is pretty creepy, so I guess that this one can get a pass too. Like I said before, Asylum is a mixed bag. There is something good in each of the stories and none of them are outright bad. 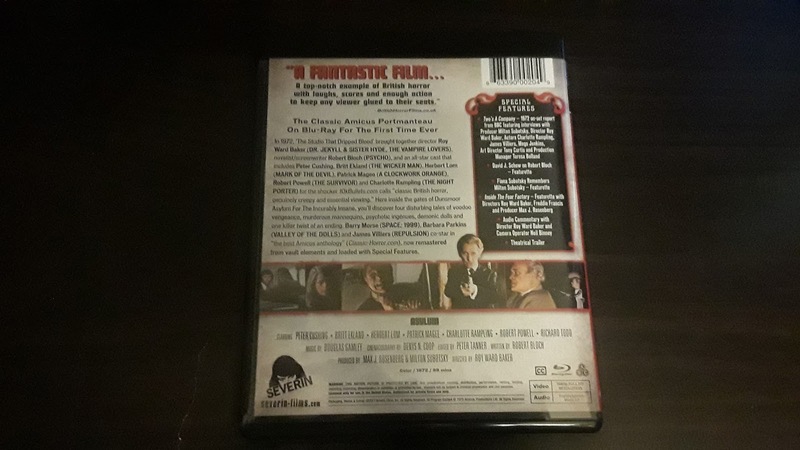 The pacing throughout the film is a bit sluggish, even though the film is under an hour and a half, which makes the film seem longer than it is. 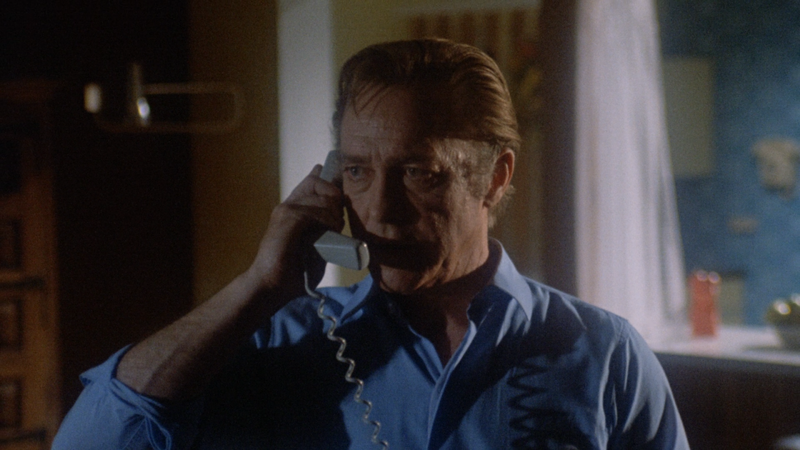 There are plenty of creepy moments throughout that warrant a recommendation from me and made me want to watch the film again. 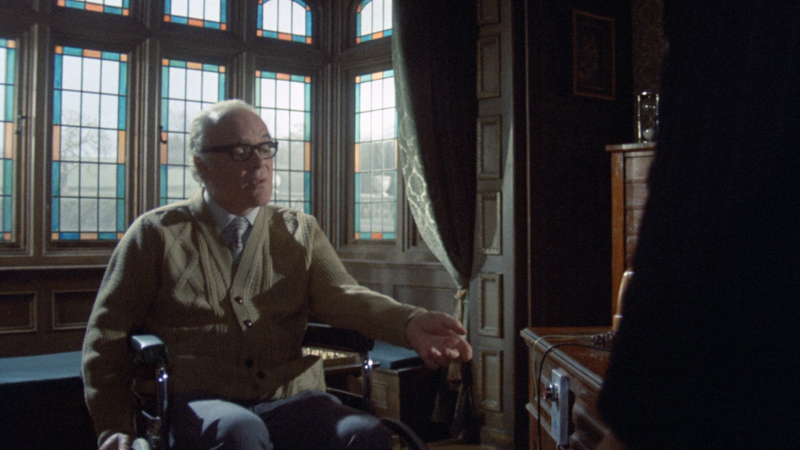 The blu-ray, from Severin Films, is nice. Some will complain about the picture quality, but I found it to be both good and charming. The sound is good too. The special features, though, are outstanding, with the interview with David J. Schow being the highlight for me. 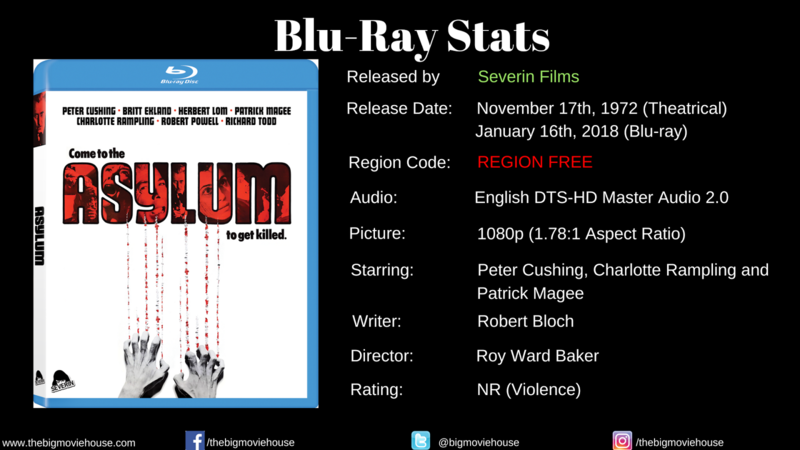 Severin did a really nice job with this blu-ray and you shouldn't be afraid to get it because of what others are saying. CHECK OUT PAGE 2 FOR MORE SCREENSHOT! BE AWARE THAT SCREENSHOTS MAY CONTAIN SPOILERS! !